The Matt Anderson Quartet possesses a unified ensemble sound and shared musical vision only possible through years of regular playing together. 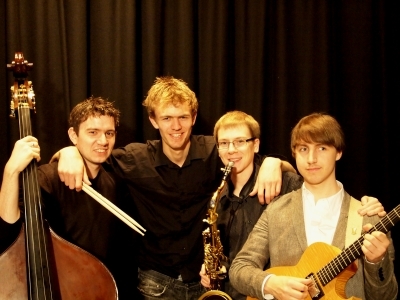 Following their 2011 regional tour supported by Jazz Yorkshire and attracting the acclaim of audiences and promoters across the area, the Leeds-based foursome have cemented their reputation as one of the most exciting contemporary jazz ensembles in the North of England. Matt’s spacious and malleable compositions provide the perfect backdrop for the searching, flowing drumming of Sam Gardner and virtuosic guitar playing of Aubin Vanns. John Marley, one of the busiest bass players in the U.K., keeps the group thoroughly anchored during even their most intense moments. 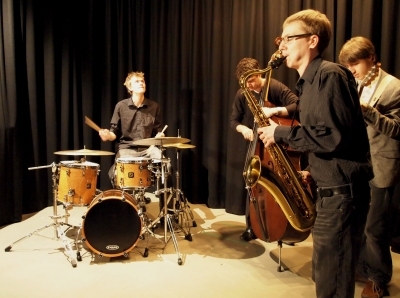 Recent performances have included such high-profile venues as Wakefield Jazz, The Spin Off, Charlie Wright’s, Matt n’ Phreds, The Yardbird, Scarborough Jazz Festival 2011 (main stage), the 7arts Centre and many more, and the band is looking forward to an extensive U.K. tour in May 2012.